How Long Can You Expect A Filling To Last? Together, bacteria, plaque, and tartar are responsible for tooth decay, one of the most common oral health problems, but also one of the most treatable. Left untreated, tooth decay attacks tooth enamel and leaves the remaining tooth weak and prone to further problems. Restorative dentistry treatments rebuild lost tooth structure and protect the tooth so that additional issues can be avoided. By far the most common restorative treatment for tooth decay is the simple dental filling. A dental filling takes the place of lost enamel, keeps harmful bacteria from further access to the tooth, and protects from additional decay and infection. However, dental fillings do not last forever and at A Supa Smile our patients sometimes ask us how long their fillings will last? The lifespan of a dental filling is dependent upon several things. First, what materials comprise the filling. Second, how well the dental procedure was done. Third, how good is your aftercare for the filling. Read on to learn everything you need to know about dental fillings and their lifespan! Composite fillings. Far and away the preferred treatment for cavities, white fillings, also called tooth-colored or composite fillings, are a great way to restore cavities virtually invisibly. Unlike other types of fillings, white fillings blend naturally into your mouth. With a white filling your dentist closely matches the colour of the filling material to the tooth and neighboring teeth, making it appear as though there is nothing but a healthy, natural tooth.Additionally, white fillings do not contain any potentially dangerous mercury, which can be found in other filling materials.The expected lifespan of tooth-colored fillings is up to 10 years and beyond, depending on the location of the filling and your oral health habits. Composite/white fillings are one of the most viable, trusted options for treating cavities. Silver/amalgam fillings. Silver or amalgam fillings are another option. These usually last about 10-15 years, but have some serious downsides that patients need to consider. Silver fillings make teeth look gray, dingy, and discoloured – they look nothing like natural teeth. Silver fillings are also usually more destructive, requiring more of the undamaged tooth to be removed for application.Perhaps the biggest issue for silver/amalgam fillings is concern about the mercury levels found in them. If you’re worried about the mercury content or have questions about the safety of these fillings, ask your A Supa Smile dental office. Many patients opt to have existing silver/amalgam fillings replaced with composite fillings, both for aesthetic and health reasons. Gold fillings. Once the “gold standard”, while still in use and a viable option, these fillings have fallen out of favour with dentists and patients. Gold fillings typically last 15 years, which is longer than other fillings, but the gold in them makes them more expensive than other fillings, and they don’t look natural with the rest of your teeth. 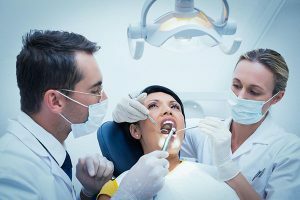 What Can You Do To Ensure A Long Life For Your Fillings? Visit regularly for cleanings, brush twice a day, and floss at least once a day. If you have multiple fillings or very large ones, your dentist may prescribe a fluoride gel for home use. Fluoride strengthens the enamel of your teeth and helps prevent future cavities. You may also receive a fluoride varnish around the edges of these teeth at your checkup visits. You also can use rinses that decrease the acid level in your mouth. A reduced acid level also reduces the level of decay-causing bacteria, decreasing the chances of decay in the future. If you get cracks in fillings, consider asking your dentist if this is due to grinding or clenching. If so, you may need a nightguard. Wearing a nightguard at night can reduce the damage from grinding and clenching your teeth when you are asleep. Mouthguards are also a must-have for athletes.